Dreaming of traveling through Italy? We will definitely tell you the best way to see the countryside is on a bike tour. Why view the magnificence of our vineyards and pristine shores through a bus window when you can experience the fresh air and tempting aromas at your own pace? A customized bicycle tour gives you the flexibility to explore the back roads through quaint Italian villages and the freedom to stop anywhere and anytime you like to sample the local wine and cuisine. You choose the destination and we will help you plan the route. Siciclando Italian Bike Tours welcomes people of all biking levels to join our adventures. We understand, too, if you have concerns about embarking on a multi-day bicycle tour in a foreign country, especially if you’re not familiar with the traffic patterns. You want to enjoy Italy without fretting over dodging cars on winding roads. Don’t worry! Our custom tours allow you to relax as you become part of the landscape and ride less-traveled roads. What’s more, several spots in Italy have been classified as Limited Travel Zones, or ZTLs, through the summer. This means automotive traffic has restricted to no access to many of our beautiful natural attractions, yet cyclists and hikers are welcome. The Dolomites just became the most recent area to apply ZTLs. 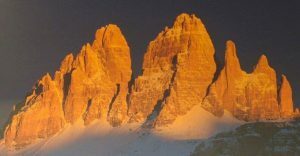 The Dolomites in northern Italy, those majestic mountains making up part of the Italian Alps, are a popular destination. In order to protect the area and create a less congested environment, the government has placed a moratorium on the number of cars allowed to drive through the area, and for how long. If you wish to see the Dolomites by car, you can only spend one hour on the mountain highways, if you’re able to get one of the 200 free passes available daily. Here’s the benefit: bikers aren’t affected by these limitations and, in fact, have more room on the road! Contact Siciclando to arrange a custom bike tour. 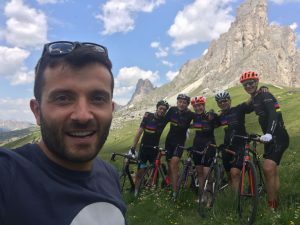 This is the time to reserve a custom bike tour of the Dolomites. Our country welcomes visitors from around the world, and recent measures in curbing auto traffic have helped preserve our many ancient sites and natural wonders. Riding a bike with Siciclando, you’ll find less traffic as you explore the Italian Alps. Plus, you will find the support of our leaders and carefully crafted itinerary on tour. Contact us today for more information about planning and reserving a custom Italian bike tour. We can’t wait to show you the majesty and beauty of Italy. To learn more about Limited Travel Zones in the Dolomites, read this article from Conde Naste Traveler.